effectlauncher provides great overview of your projects and activities. 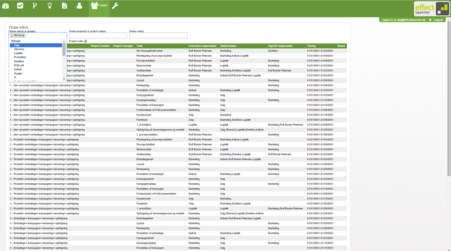 The dashboard provides a quick overview of the status of the projects and tasks in which the specific user is involved. The project list provides a great overview of all projects with convenient filtration that allows you to shape the list anyway you like it. 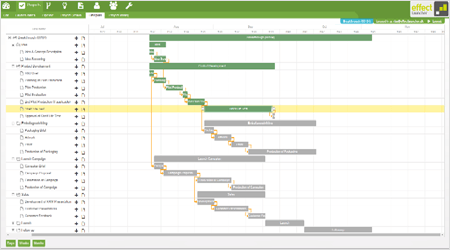 The pipeline overview gives a great visual represenation of your project pipeline. 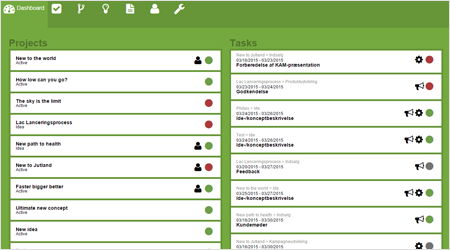 The colour-coding reveals the status of the individual projects. It is possible to filter the pipeline view according to criteria of your choice, and you can drill-down into the individual projects to monitor the progress of each activity. 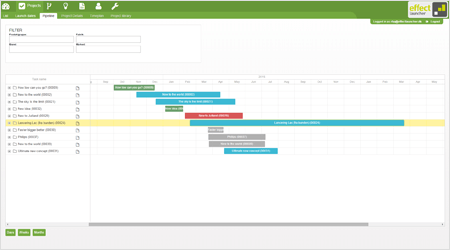 The dynamic gantt chart lets you drill down into the specific phases and tasks. 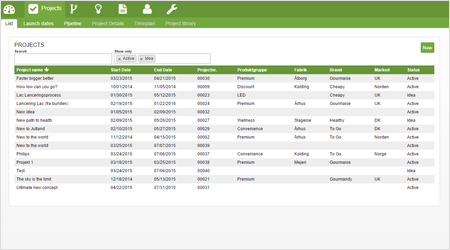 The colour-coding makes it easy to decode the status of the individual tasks and hence the progress of the project. It is simple to update the timing of the individual activities via drag and drop as well as adding and deleting activities. The team view provides a quick overview of the project team and overall resource allocation projects. It is easy to filter the overview based on project partipants, project routes, projects and roles.